Rebecca and Tim wanted Wedding Bands that were effortless, contemporary and elegant. 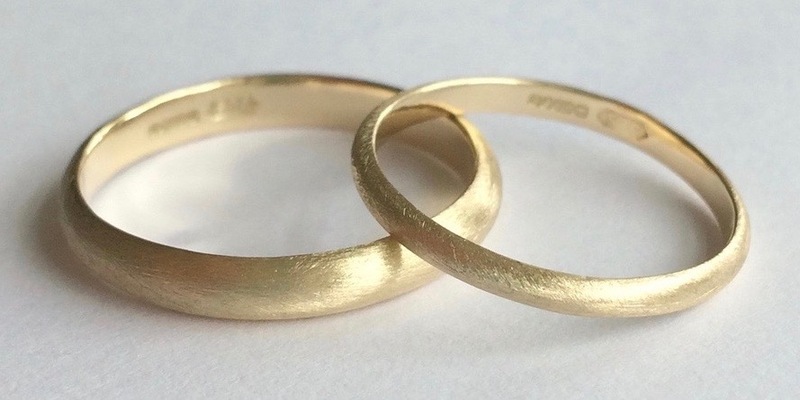 It was a priority for them that their wedding bands be created from recycled gold, so thats what we did!!! These beautiful wedding bands are created from 9ct Yellow Recycled gold, are D-shaped, and have a dreamy Brushed Matt Finish. Although I didn’t have the pleasure of meeting Rebecca and Tim in person, we chatted lots via email, and as with all of my bespoke commissions I feel that I got to know them really well during the process, and was absolutely delighted to hear that they enjoyed such a wonderful wedding day! They were kind enough to send me a photo of their big day, and I’m sure you’ll agree that they look absolutely gorgeous!!! There is just so much love and happiness held within those smiles!!! 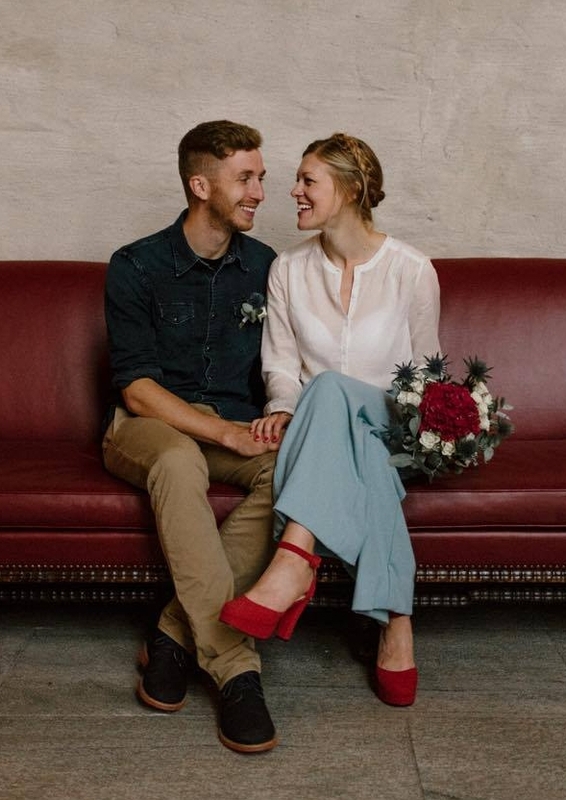 Congratulations Rebecca and Tim, and Thank you. My partner Tim & I were looking for some understated, simple rings for our wedding. We had an idea of what we wanted but very little knowledge of what to ask for - but we did know we wanted them independently made in the UK from recycled gold. Jemma was so understanding, warm and knowledgable and helped us create the perfect rings. I feel like they were really made with love and will be worn with love too! Thanks for a lovely experience and our beautiful rings.